The ones that I’m talking about are the ‘wet’ kind of carbonara that have cream in them which we can easily find at most run-of-the-mill pasta restaurants and Western food eateries. If you have ever visited Italy or have had a meal at an authentic Italian restaurant, you’ll notice that their pasta carbonara is drier as no cream is used. 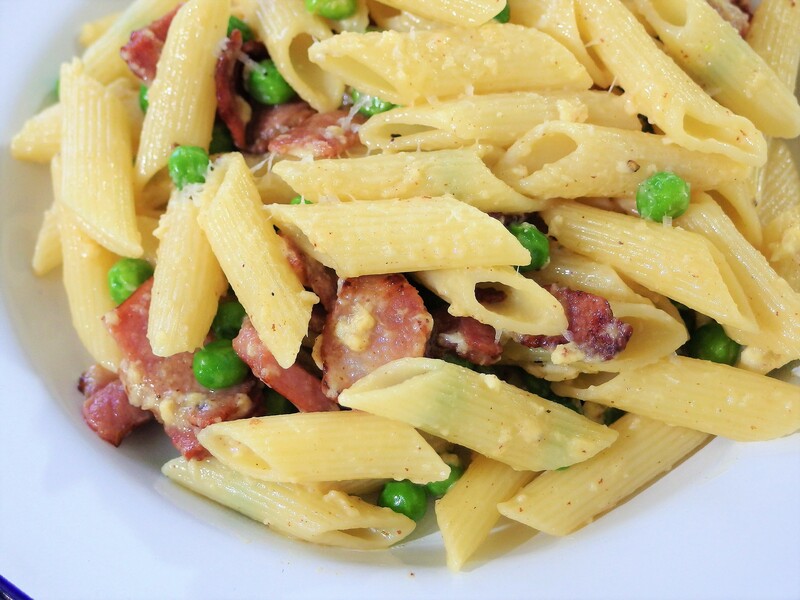 Traditional carbonara recipes generally use eggs and Pecorino Romano. 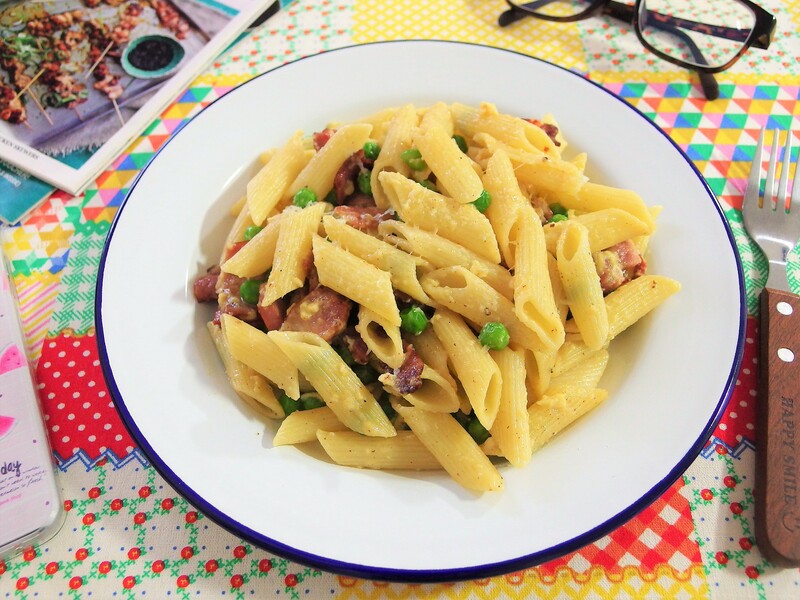 I wanted to recreate that at home so I could make a pasta carbonara that is less rich and less cloying but is still packed with a satisfying punch. Don’t be deceived by the look of my dish. The taste is absolutely spot-on and it has lesser calories! Woohoo! Also, if you want a really good, tasty carbonara, please buy a block of real Pecorino Romano or Parmigiano-Reggiano which you can store in the fridge and use over a period of time. Don’t use those fake grated parmesan cheese. It is not the same! This recipe is good for 3 persons. If you’re cooking for more, simply increase the amount of eggs and cheese accordingly. In a bowl, combine eggs, grated cheese and a pinch of black pepper. Mix thoroughly. In a non-stick pan, pan-fry the bacon pieces till golden brown. Add the penne and loosen it up with the pasta water. Pour in the egg-cheese mixture and stir till well combined. Transfer the pasta onto serving plates and grate extra cheese on top.